Low iron float glass also named Ultra-clear glass. It is made by matured technical operation norm. It looks just like colorless crystal with higher transmittance. Thickness: 3mm-19mm with normal size like: 2134*3300, 2134*3660, 2250*3300, 2250*3660, 2440*3300, 1830*2440 and so on. If needed for some thickness we also can do the jumbo size like 6000*3300. Low iron glass is produced under the most advanced technology from PPG, and the production line is designed patterned from PPG too. It is a new type of high grade glass that has high performance and multifunction, the light transmittance achieves above 91.5%, it has the character of glittering and translucent, elegant and graceful, which has the title of 'crystal prince' in glass family. Ultra clear glass also has all the processable performances that high quality float glass has, has predominant physical, mechanical and optical characters, so it can been processed as other high quality float glass. 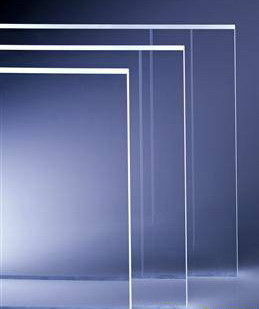 Incomparably predominant quality and performance make the ultra clear glass has wider application space and brighter market foreground. 1.20 years experiences on glass manufacturing and exporting. 2.Full range of flat glass supply, offering one-stop service. 3.Top quality glass,Export to more 75 countries in the world. 4.Professional sales team,dedicated to maximize customer benefit.